This question has recently come up in two unique client meetings and I was intrigued at the difference in answers. I personally don’t think I have been around long enough to wisely review exactly what I would do differently in my next life so I thought I would capture some thoughts of those who have been around longer. “Put as much into your first house as you can. We regret now those small bedrooms and lack of garage. We were young when we built our first home and it was all about penny pinching to make it work. The bank would have lent us more at the time, however we were too cautious. We could have saved a bit more before starting or been patient and put off the start date a little while until we were happy with our savings. This would have made the difference between wanting to spend a lot now or being content with our home”. Selling and buying property is expensive so you need to do it right the first time. If you include stamp duty and real estate fees you need to hold a house for a minimum of 15 years and if you are going to outgrow it in that time you need to strongly think about your decisions. The wisdom on offer is to build or buy as big as you can – it will be worth it in the end. “I’d save that bit extra over time, watch what I spent whilst working that little bit more then I wouldn’t have to be watching what I was doing so much now. I did what I wanted whilst working, but it is a whole different story now I don’t have a regular income coming in to top up my account. I watch every penny even though I really still do what I want. I have to think about it. If I had been that bit more diligent when working, I wouldn’t have noticed then but it would make a really big difference now”. Quite polar opposite views in terms of spending more or saving more. Everyone is different but it can be important to review what you are doing and making sure you are on track to achieve your goals. There is always another way to do things. 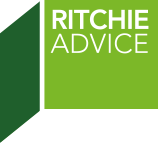 If you would like to review your situation and make sure you are on track the staff at Ritchie Advice would be more than happy to help so always feel free to give our office a call on 6234 1488.